Planning to design a great website or web app? Want to create an amazing backend for your services? Then it’s time to think about the design of your admin dashboard. It is a challenging task to create an effective admin dashboard that your users enjoy to come back over and over again. Designing and building all the pages and layouts of your back-end areas can be very time-consuming and complex. 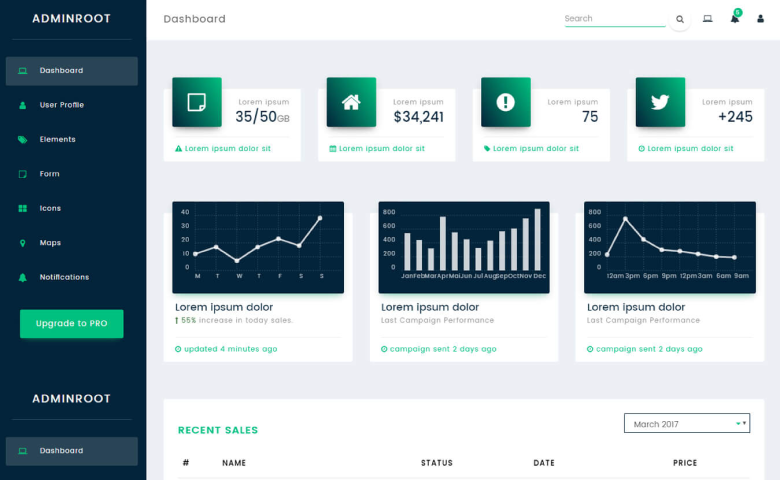 Gratefully, we have a solution that can help you save a lot of time and money, you can start building your admin dashboard with one of these amazing admin website templates. This collection not only contain pre-made admin dashboard templates and demos but also have an easily customizable design. Bootstrap is one of the best and well-known toolkits for building stunning websites without having to start from scratch. It is great for teams to manage all of the administrative tools. Have a look at a clean and decent collection of admin panel website templates. Adminroot is an elegantly designed admin panel template that has lot of creative features which can be quite useful for most of your applications in your website. It can be used for the businesses like admin dashboards, custom admin panel, CMS, project management systems, CRM etc. Web elements are also included in the template for the easy customization. It includes 12 HTML pages and 4 CSS files. It makes your next project look awesome and user friendly. This classic admin template comes with clean and minimal design. It includes pages like login screen, homepage / dashboard, charts, chat, interface elements, grid, tables, basic forms, forms with validations, forms with wizards, gallery, calendar, buttons and icons, widgets. It has a responsive layout and valid HTML5/CSS3. 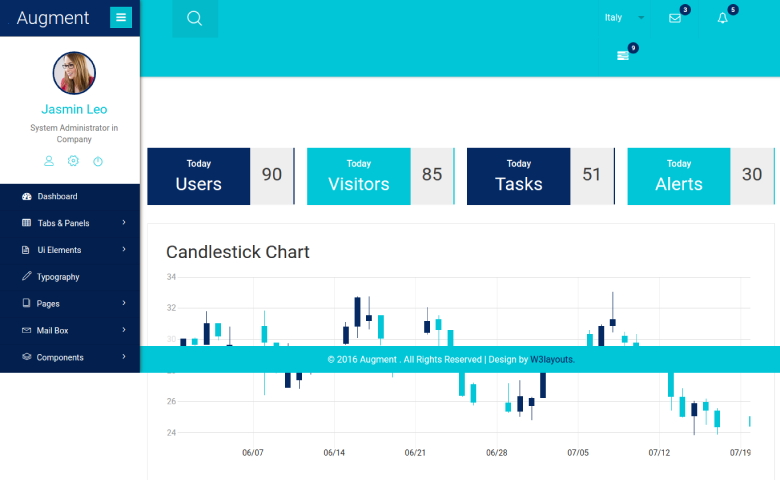 Augment is an admin tamplate built with entrancing looks and functionality using Bootstrap framework to cater your business needs. This admin template has a responsive layout that is supportive across major browsers and different devices. It comes with a bundle of Widgets. 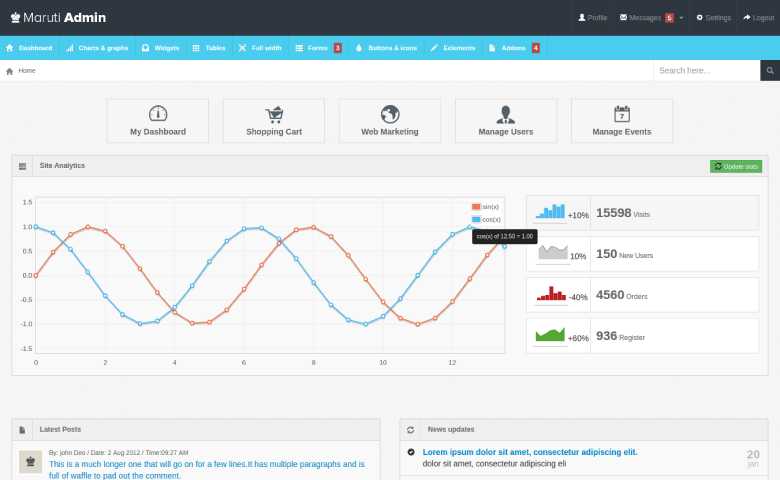 It is the best choice if you are looking for the admin dashboard template. 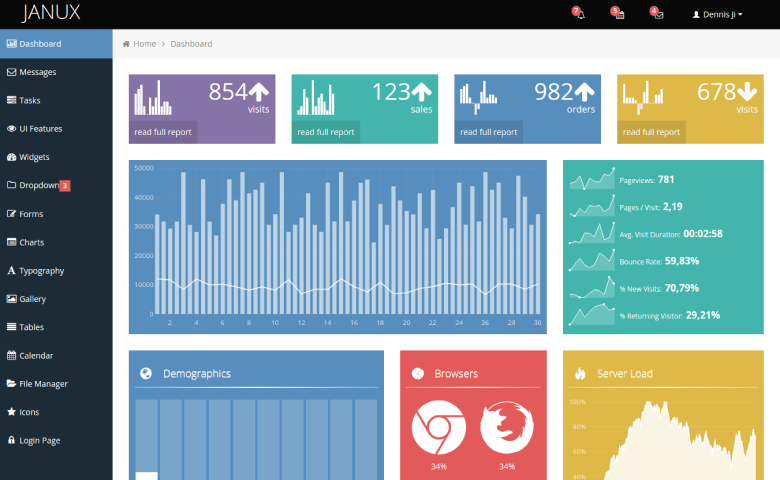 Matrix is a free HTML dashboard template. It is quality and feature rich template with responsive layout and lifetime free updates. The template includes HTML, JS, CSS files and compatible with IE10+, Firefox, Chrome, Safari, Edge. Features like tabbed widget, accordion widget, color picker, date picker, growl notifications, alert boxes, sortable list, dropdown menu, simple chart, bar graph, pie chart etc are included in the template. 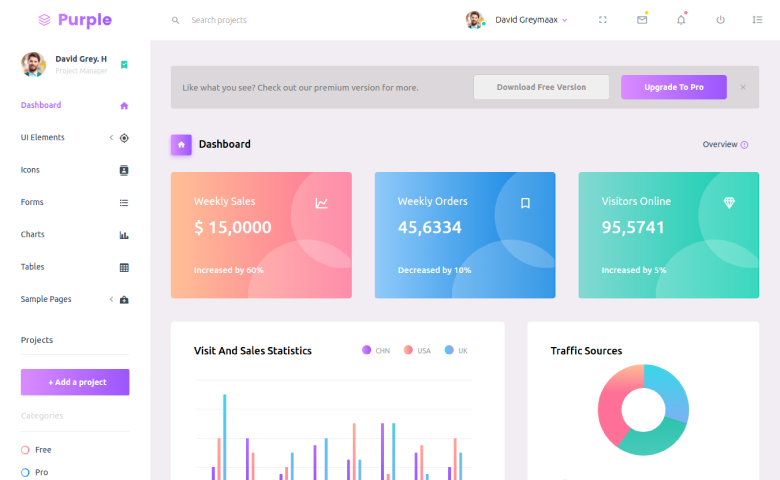 Purple is a free category beautifully designed and well-coded admin panel template. The template comes with excellent support. Built using the latest technologies and it is up to date with the latest trends and tools. It has a responsive layout and HTML, JS, CSS, SASS files included in the template. It is compatible with IE10+, Firefox, Chrome, Safari, Edge. JANUX is a responsive and multipurpose admin and frontend theme with Twitter Bootstrap 3.1 Framework. It has huge collection of plugins and UI components. It is compatible with major browsers like IE 10, IE 11, Chrome, Firefox, Safari, Opera. It includes HTML, CSS, JS, files & Images. It also has 17+ pages with responsive layout and contact form. 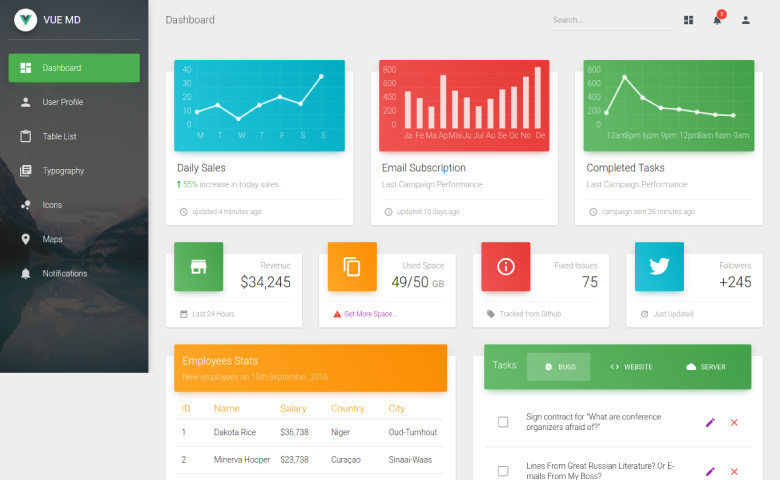 Insight is a free Bootstrap admin template specially designed for admin dashboard designs. The template is completely flexible and user-friendly. The customization of this admin template is very easy with inline and high-quality HTML Code. Designed based on Twitter Bootstrap 3.3.4. It has 100% responsive layout design with UI elements, smooth scrolling, charts plugin, clean HTML5 and CSS3 code. 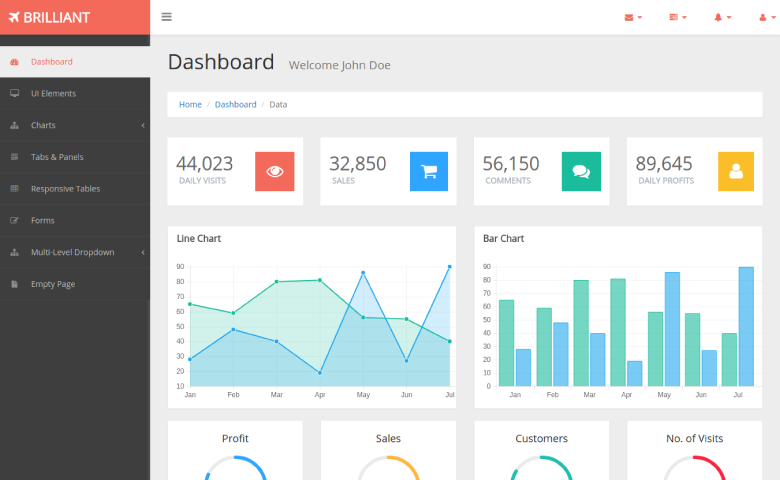 Modern is a admin dashboard template with flat design concept. It is designed with Bootstrap 3+ Framework, HTML5 and CSS3, Media query. 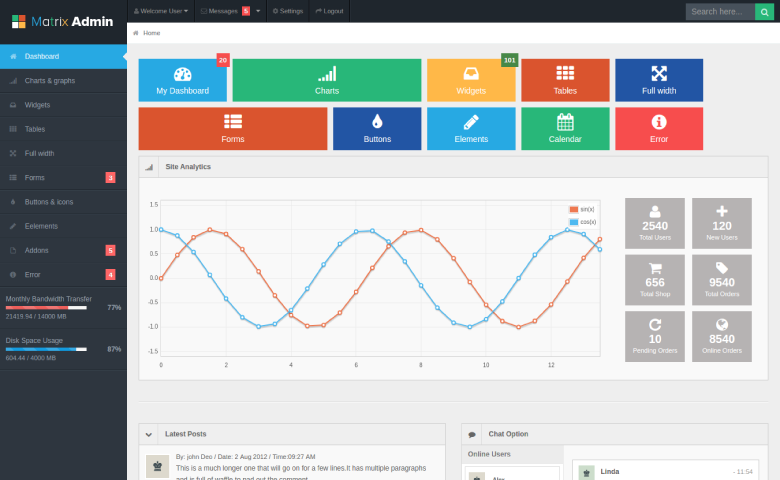 This template can be used for all type of web applications like admin dashboard, project management system, custom admin panel, CMS etc. It has High Resolution and compatible with Google Chrome, Firefox, Safari, IE 10, Opera etc. 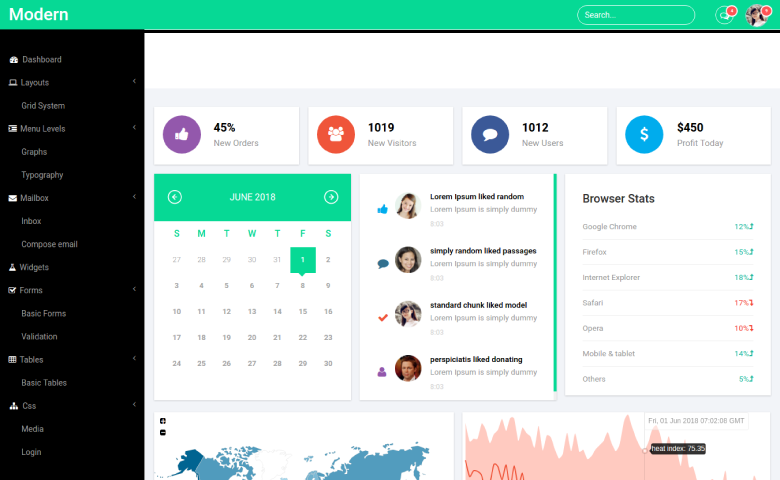 Brilliant is a free Bootstrap admin template with flat design and ready to use. This template is completely flexible and user friendly which is compatible with all browsers and looks great on all the devices. The customization of the template is very easy with the help of quality HTML code. 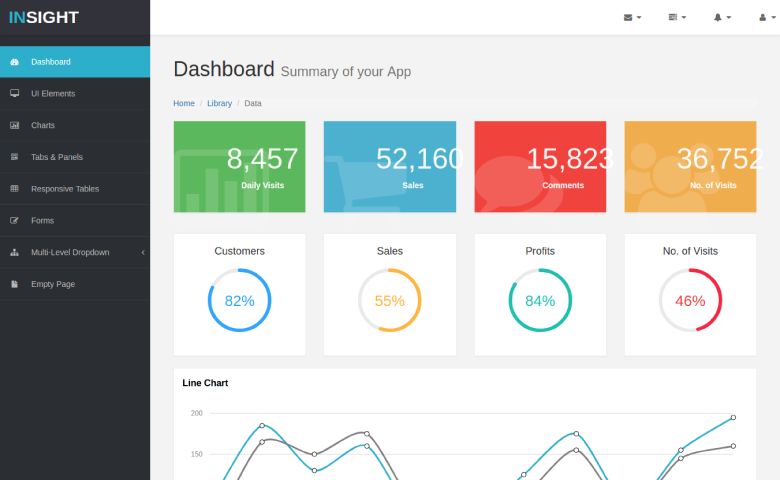 Collection of all these admin dashboard templates can be the best solution for your next admin design.